It has been described before that the occurence of raindeers is strangely low, while this was the main food source. But isn't it even stranger for dogs? Recent genetic research suggest that dogs were domesticated a lot earlier than any other animal, which makes sense for hunters. The distinction dog/wolf may be blurred over long times - and while e.g. chauvet cave pictures a wide variety of wild predators, even owl and hyena, no wolf is pictured either. Where dogs/wolfes too 'ordinary' to be portaied here, more so than raindeer? From a technical taxonomical point of view, it is impossible to have domestic dogs depicted in a Paleolithic cave painting, simply because domestication of plants and animals is one of the features of the Neolithic. So by definition, any art that depicts a canid is either Neolithic, or it is showing a wild relative such as a wolf. I believe most answers above are pretty good, so I don't have much more to add. On the missing part (in above answers) to cave art, from the question: "... paleolithic cave paintings?" and OP's comments asking for images. This is from Aurignacian period (considered Upper Paleolithic), the specific site is Cave of Pont d’Arc (UNESCO). Wikipedia's entry on this site. Some info on the Paleolithic dog. Not the answer you're looking for? Browse other questions tagged prehistory paleolithic or ask your own question. Are the Neanderthals a subspecies of Homo sapiens or not? Homo Sapiens Sapiens: Are genetic studies to be trusted? Why does the Philippines have little fossil deposits? 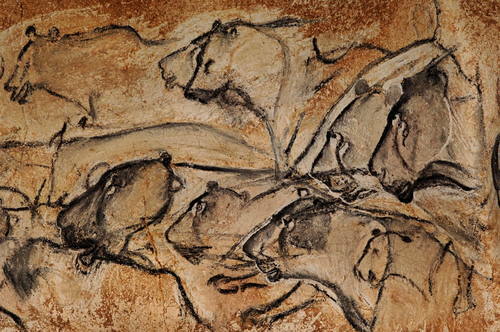 Why are cave paintings so few and rare? Is there an accepted explanation for multiple independent “cradles of civilization”? Why have so few paleo-Indian skeletons been found? 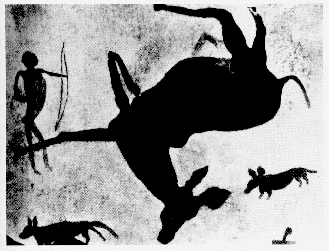 Where are official images and metadata of cave paintings housed?